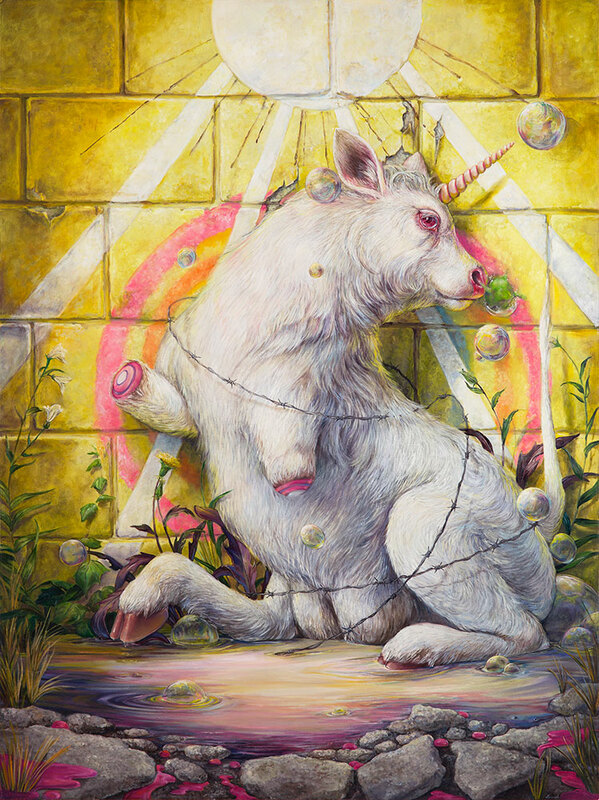 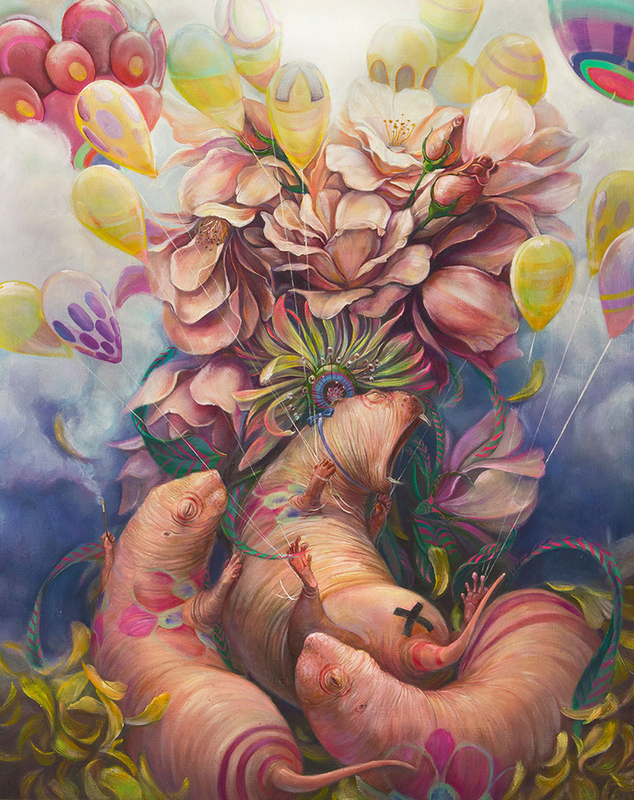 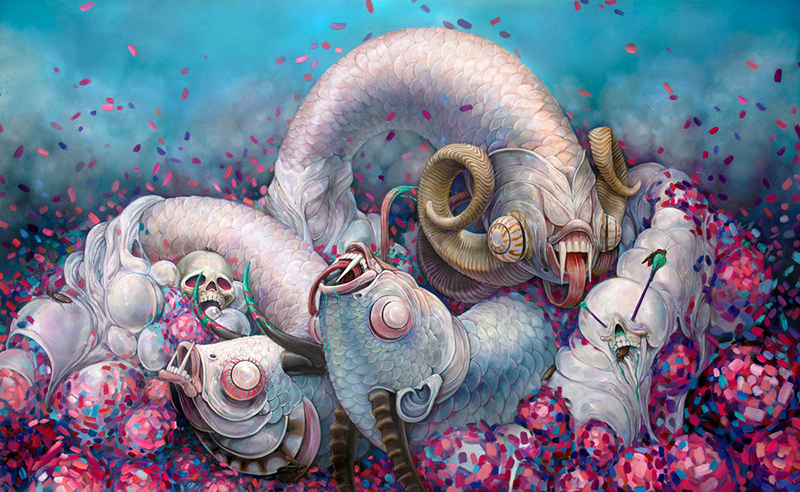 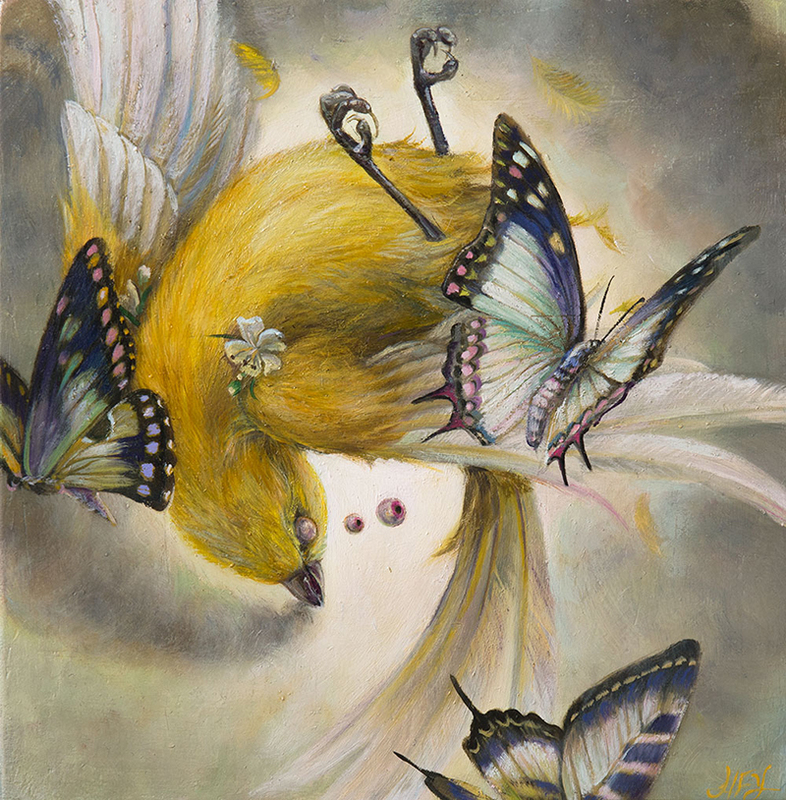 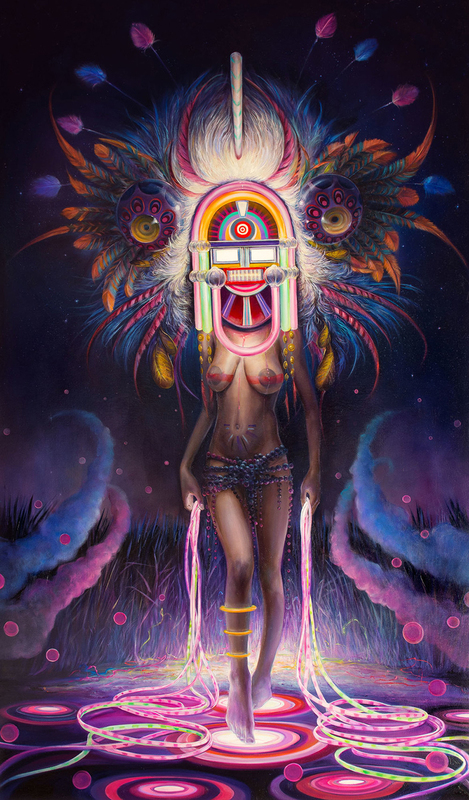 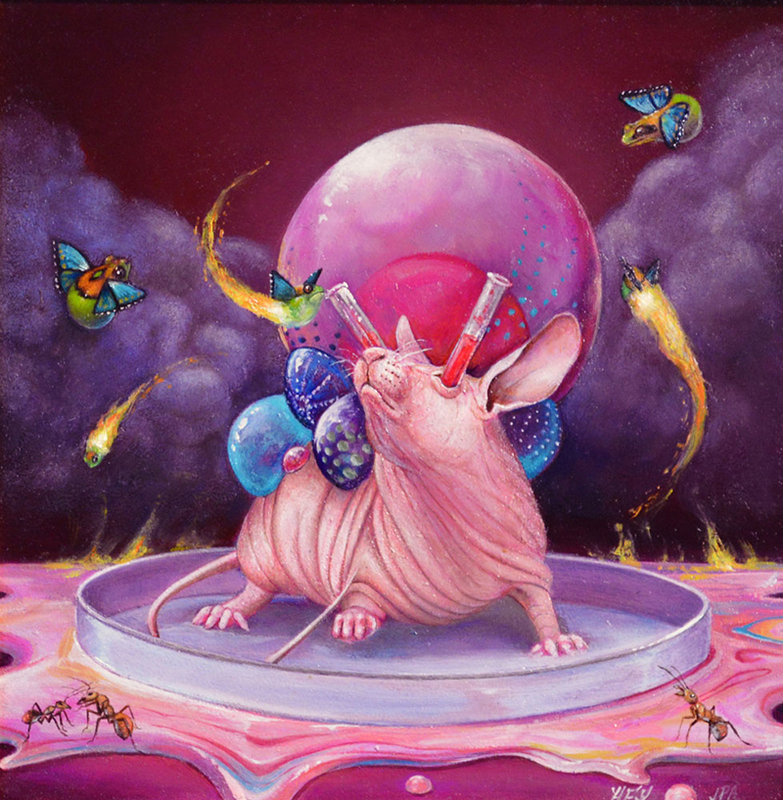 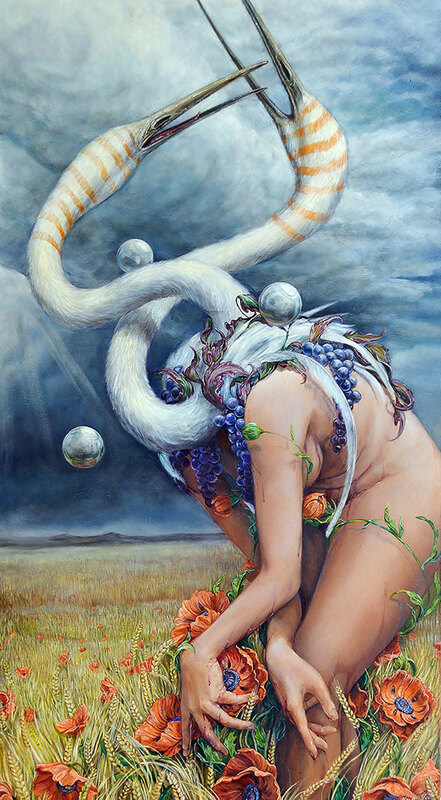 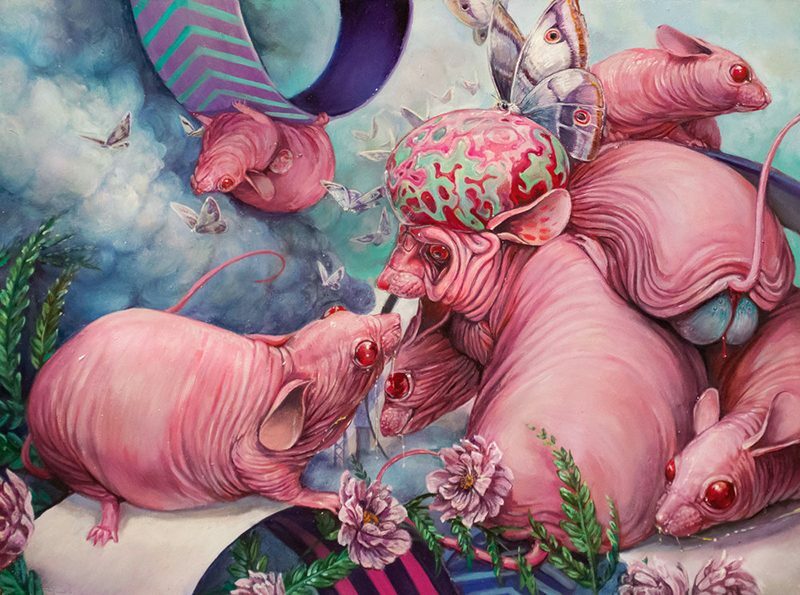 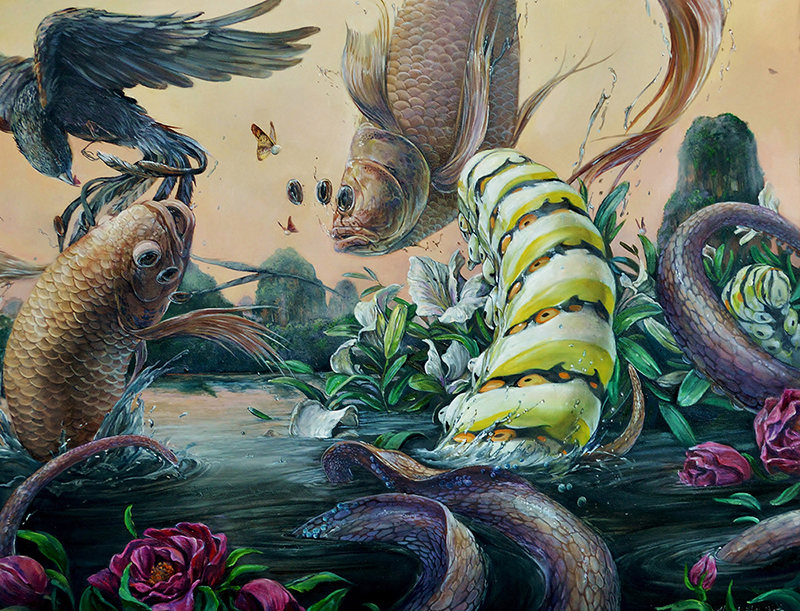 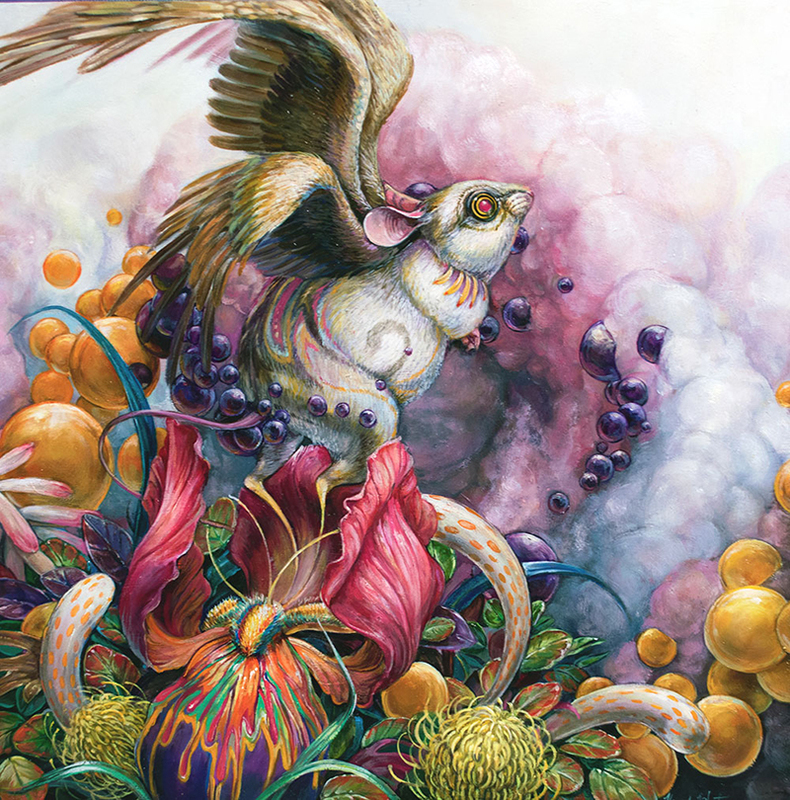 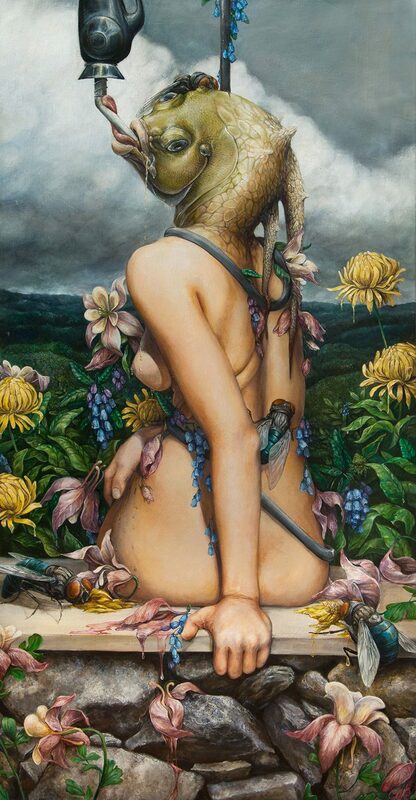 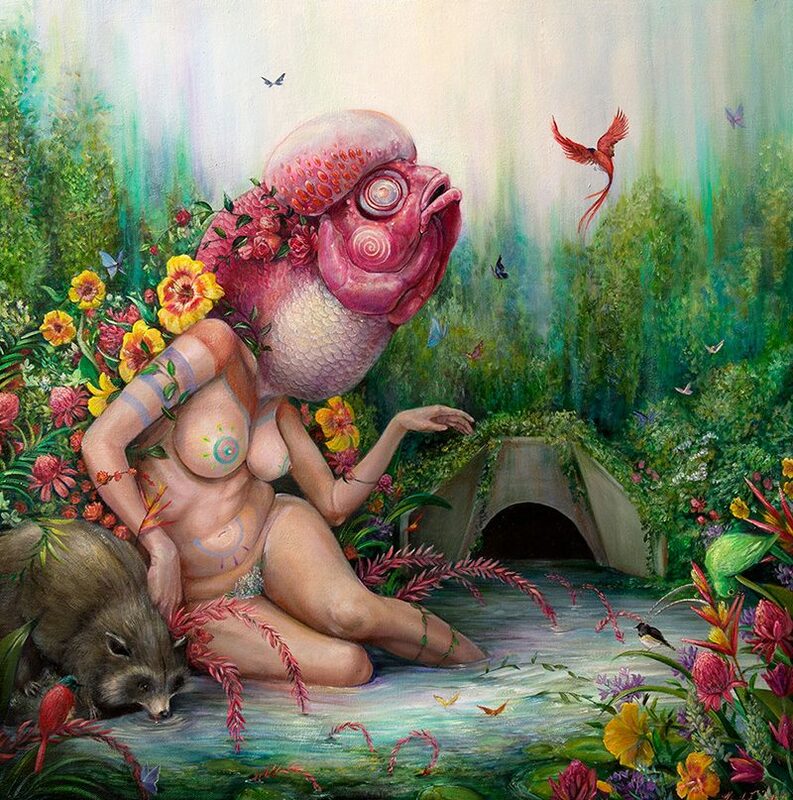 The world of Hannah Faith Yata is a psychedelic, symbolic feast. 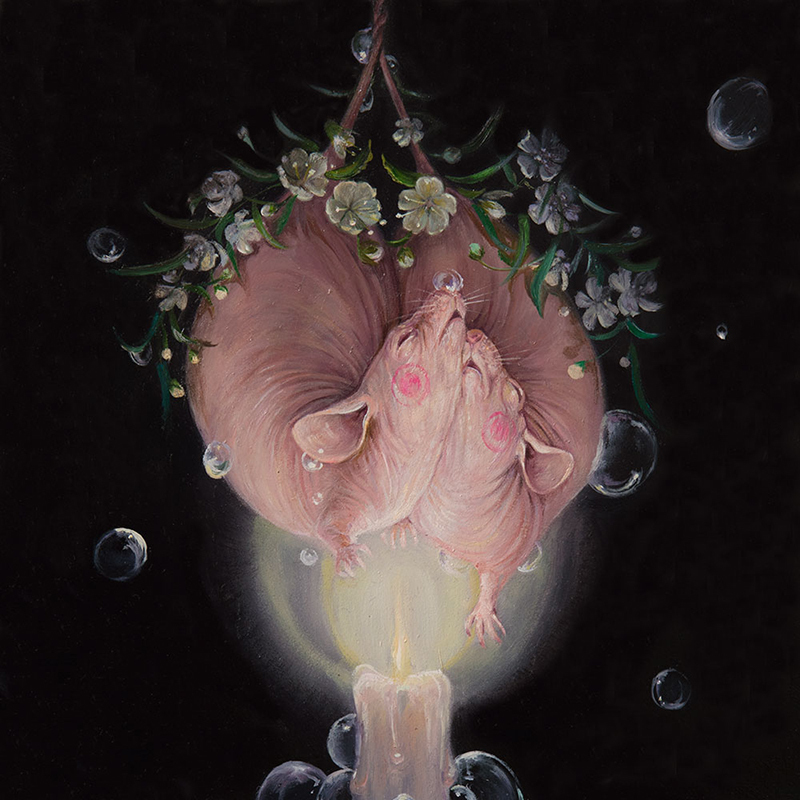 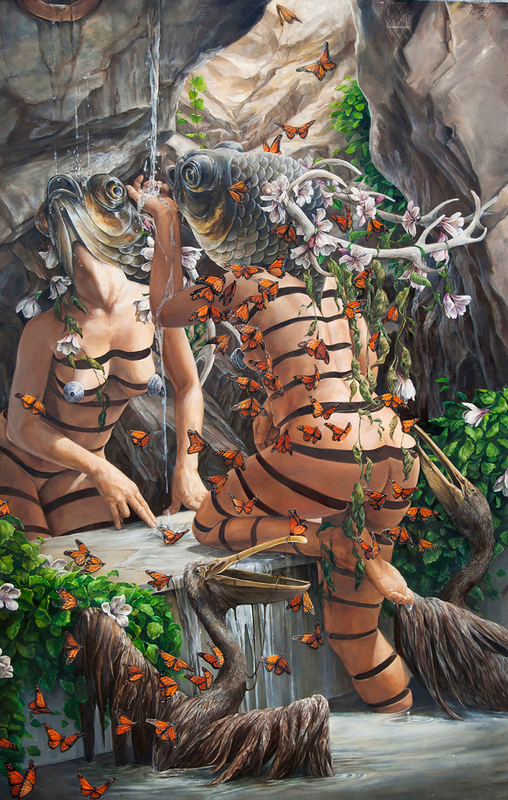 Interested in themes of feminism, environmental degradation, and morality, she produces large oil paintings of hybrid creatures in distorted worlds. 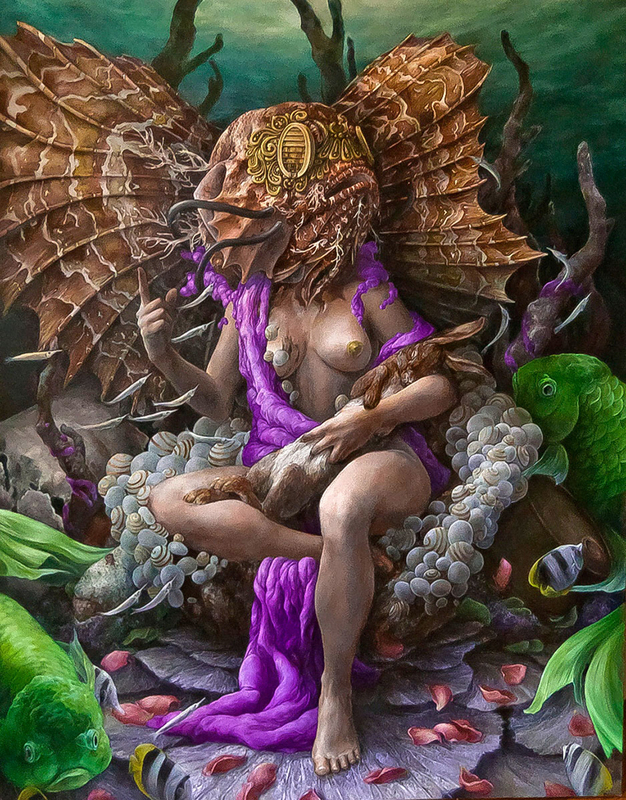 Fish and fish-headed women—effectively, reverse mermaids—are recurring motifs, blurring mythology with a pained surrealism; their staring, lidless eyes remind us of a beautiful, prehistoric time, while also resembling dead fish on the beach—anxious symptoms of pollution and decline. 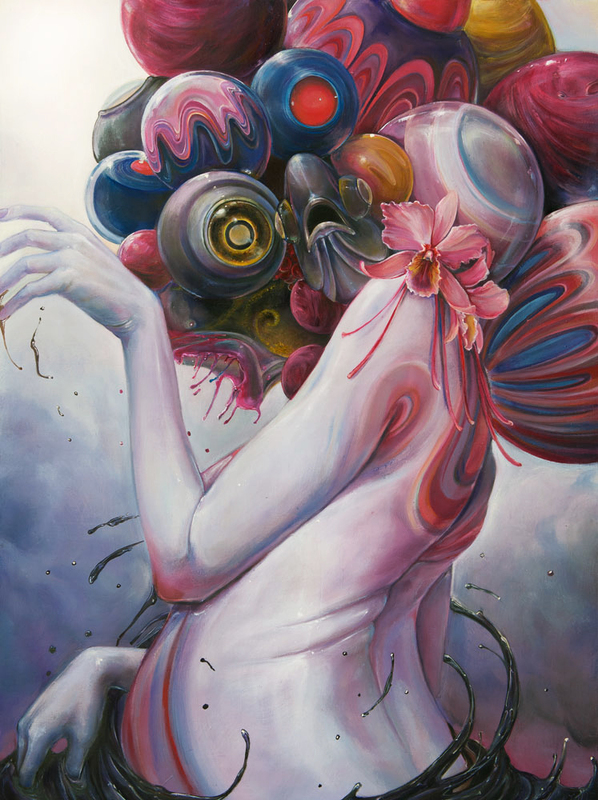 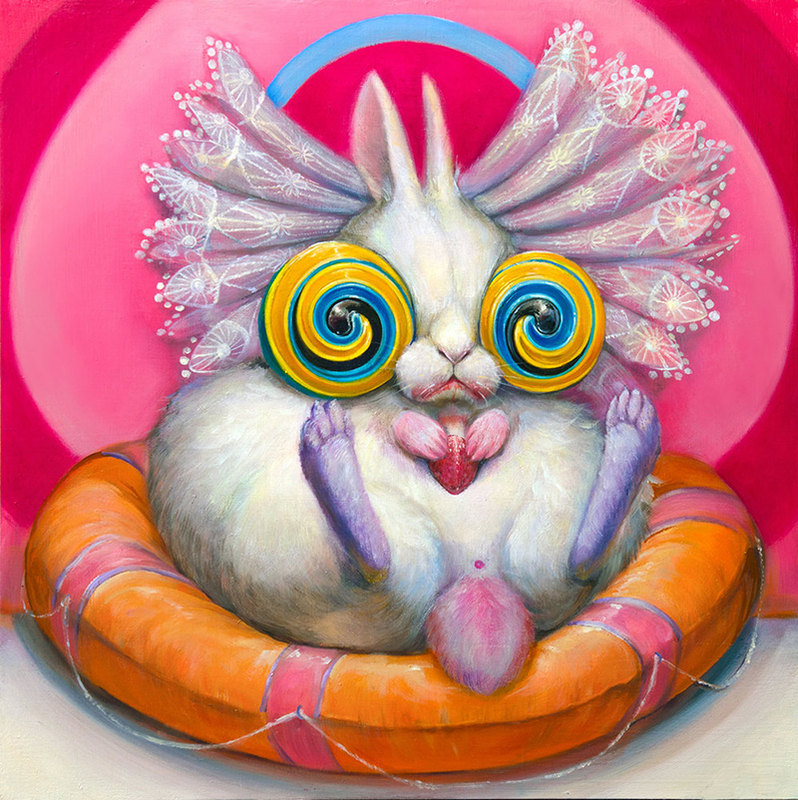 With imagery you could unpack for hours, Yata’s vivid paintings keep our attention.